At Weight Loss Solutions Sunshine Coast, we believe in giving you every opportunity for a healthier, longer life. Our bariatric surgery centres take a modern, team approach to treating obesity, one patient at a time. Whilst we have our own individual practices on the Sunshine Coast, we work as a team in surgery, obesity education and follow-up care. 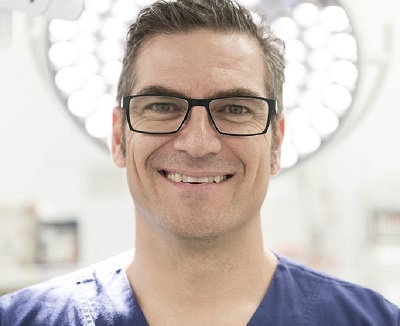 Dr James Askew and Dr Garth McLeod run full-time consulting clinics in Birtinya and Noosa respectively, performing operations from the Sunshine Coast University Private and Noosa Private Hospitals. In addition, they also run monthly clinic consults in Hervey Bay, Gympie and Caboolture. Our programs include surgical, dietitian and psychological support to help you achieve your goals. Our surgeons come together because of our shared philosophies and commitment to optimal patient outcomes across the Sunshine Coast and Fraser Coast regions. Everyone deserves a healthy long life. Obesity is a complex disease, which requires a comprehensive approach to overcome. Bariatric surgery is not a vanity decision, but a health choice which can reduce the risk of many chronic diseases which can shorten life expectancy, and impact on quality of life. The best long-term outcomes are achieved by utilising the expertise of a multi-disciplinary team. We use the most up-to-date techniques in surgery, for the best outcomes for you. It’s important to us that we are experienced in all procedures and both surgeons were trained in high-volume bariatric centres. Both surgeons perform all forms of weight loss surgery, including revisional procedures. Some of the surgical options include sleeve gastrectomy (gastric sleeve), gastric bypass, gastric band as well as the non-surgical Orbera Intra-gastric balloon. With all these procedures available to you, we tailor our surgical approach to your unique situation. Bariatrics is a dynamic specialty which is constantly changing. We are continually updating our knowledge and skills and regularly attend conferences, meetings and live surgeries both nationally and internationally. We pride ourselves on staying current. It is natural to want every opportunity for a safe and successful surgery. Whilst our surgeons are based at different hospitals and are experienced surgeons in their own right, both assist each other at every procedure. This team approach helps to reinforce the surgical excellence we strive for, both during your operation and for follow up care. We also make ourselves available 24 hours a day, seven days a week after your operation. There is always a surgeon available should you need it for back-up care around the clock. Bariatric surgery is a tool which starts with a successful surgery but doesn’t end there. Its effectiveness at providing lasting wellness is enhanced when combined with lifestyle changes. Your surgery should be supported by experts in diet, exercise and psychology. We work alongside a range of exceptional Sunshine Coast allied health professionals at our respective clinics who specialise in obesity. All specialists work together to support your health. We believe this modern team approach gives you the best possible chance of positive long-term outcomes following bariatric surgery. Striving for surgical excellence with a team approach to surgery. Performing all forms of weight loss surgery and tailoring our surgical approach to your specific needs. 24/7 access to your surgeon. Team of specialists to fine tune your weight loss and greatly enhance the likelihood of a positive outcome. Remaining upfront and honest with you about your options. Your long-term wellness is always our first priority. Dr James Askew (Birtinya), and Dr Garth McLeod (Noosa-Tewantin) both live and operate exclusively on the Sunshine Coast. Individually, they run consulting clinics at various locations to cover the vast north Coast areas from Birtinya to the Fraser Coast. Find out more about your surgeons, and their clinic teams. Dr James Askew is a General and Bariatric Surgeon with a subspecialty interest in weight loss and upper gastrointestinal (GI) surgery. James operates at Sunshine Coast University Private Hospital, with nearby consulting rooms in Birtinya. He also consults in Caboolture and Hervey Bay. See more about Dr Askew, and his Birtinya clinic and team. 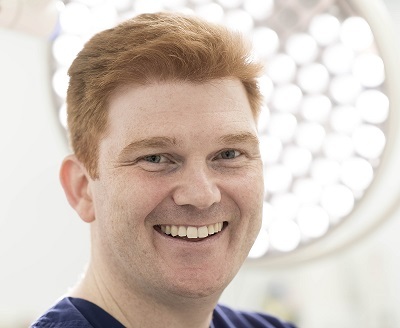 Dr Garth McLeod is a General and Bariatric Surgeon with subspecialty training in obesity and metabolic surgery. Garth operates at Noosa Private Hospital and Buderim Private Hospital, and has consulting rooms in nearby Tewantin. He also consults at both Gympie and Hervey Bay. See more about Dr McLeod and his Noosa-Tewantin clinic and team. Browse our various consulting locations for a clinic near you. Are you interested in a life of being healthy, and looking and feeling great? Contact a clinic near you to start on the road to wellness.